Product prices and availability are accurate as of 2019-04-19 12:22:39 UTC and are subject to change. Any price and availability information displayed on http://www.amazon.com/ at the time of purchase will apply to the purchase of this product. Materials: Materials: The inner material is a mesh sponge,the outer material is environmental suede. Size: with head circumference of 47cm to 55cm. Applicable Age: Baby from 8 to 24 months. It can avoid or mitigate damage to the head when the head of infant is collided. When the infant falls forward, the visor can incline towards the face for protection at the moment of touching ground. When hat is hooked by a certain external force, the magic tape with great stress will loosen automatically to protect the infant. 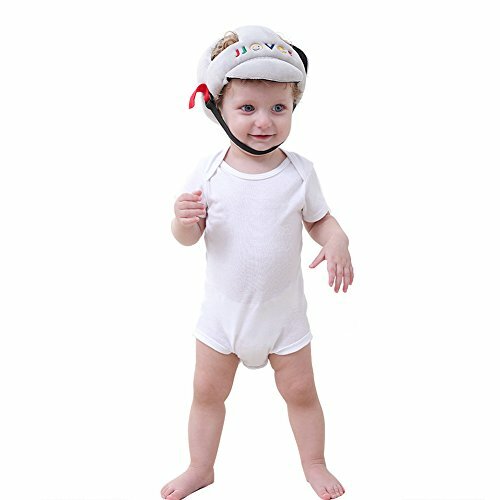 It is fitable for the toddler who is learing to walk. Reduces the possibility of head injuries in small children,It can avoid or mitigate damage to the head when the head of infant is collided. When the infant falls forward, the visor can incline towards the face for protection at the moment of touching ground. The filling material is special mesh sponges: with the advantages of shock absorption, impact resistance, good air permeability, soft, non-toxic, odorless, antisepsis, environment protection, etc. 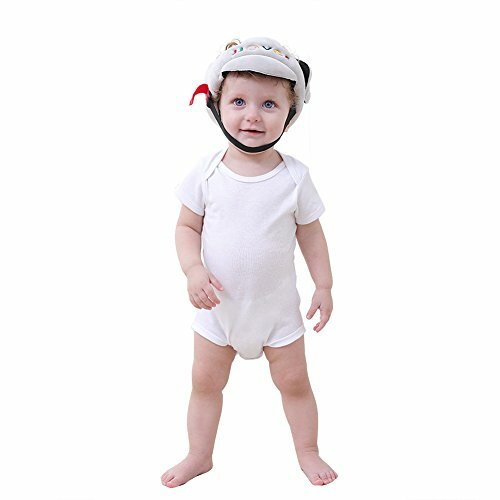 For baby ages 8-24 months with adjustable with Velcro on the rear side for head size and adjustable chin strap. For learning to walk on hard floors, patios, drive ways and other hard surfaces.